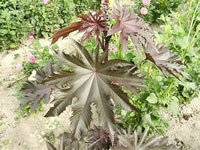 Castor Beans are fast growing, tender perennial shrubs that are capable of growing up to 12 feet in a single season. 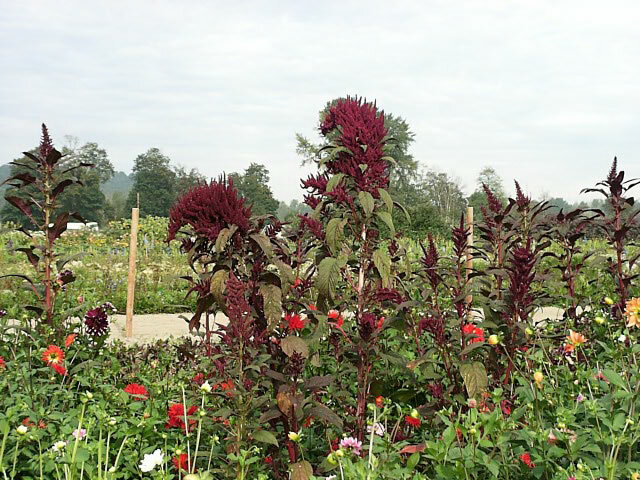 In regions where they are grown as an annual plant, they typically grow from 5-8 ft. tall. 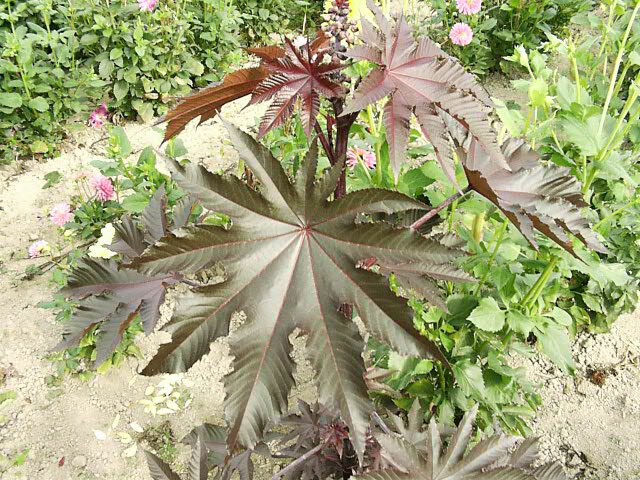 glossy, deep green to dark purple leaves that can grow up to 2 feet wide on mature plants. spikes of small, cup shaped, monoecious flowers. The female flowers are rosy-pink and the male flowers are a pale, greenish-white. The ornamental, soft-spined fruit that follow the flowers grow to 1¼"-1½"
and are each filled with numerous ¼"-½", glossy, mottled brown seeds that resemble small eggs. All parts and especially the seeds of Castor Bean plants are extremely poisonous if ingested! Contact with the foliage can generate serious allergic reactions! Castor Beans may become a weed in some areas! Castor Bean Plants are only hardy in zones 9-12. In other areas, they are grown as an annual plant. but they can also be grown successfully in partial shade. with compost or other organic soil amendments at planting time. Provide a stake in areas where winds may be a factor. can even be grown as a house plant if you have bright enough light. 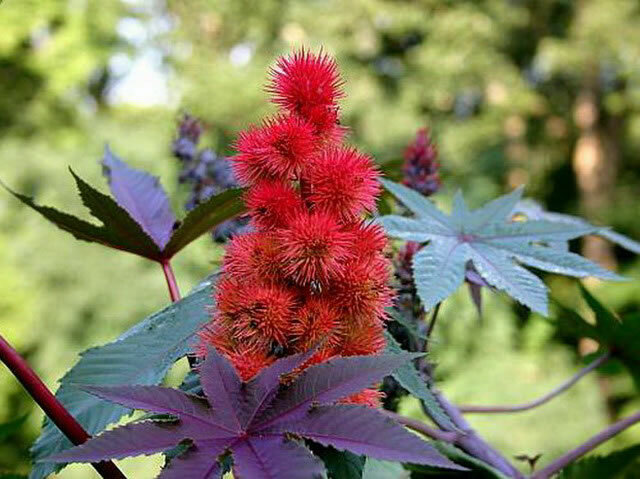 Castor Bean seeds can be sown directly into the garden where they are to grow in the spring after all danger of frost has passed. Sow seeds indoors in moistened growing medium, 6-8 weeks before your last frost date. Maintain a soil temperature of 70°-75° until germination, which only takes 15-20 days. Wait until the weather is well settled and warming before transplanting into the garden.